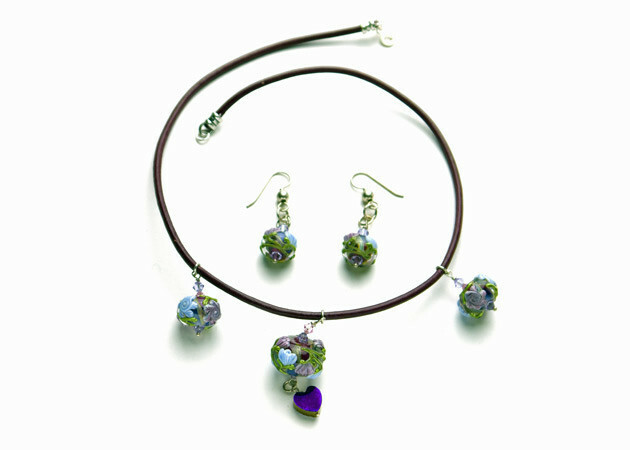 A set that includes a leather necklace and pair of sterling silver earrings made from handmade lampwork, Quartz hearts, and Swarovski crystal. If you would like to order a single item from this set, please use our Contact Form to order the item. Please include the URL of the Set and the specific item you would like to purchase. We will you send you special instructions on how to purchase the item.